#10 - the stop is on Al. Jana Pawla II (going through the underground from the railway station look for the direction “Mokotow”), there are 4 stops to “Metro Politechnika” tram stop. In order to prolong the stay, the guests must report this at the reception desk no later than 12 hours prior to the scheduled end of their stay. 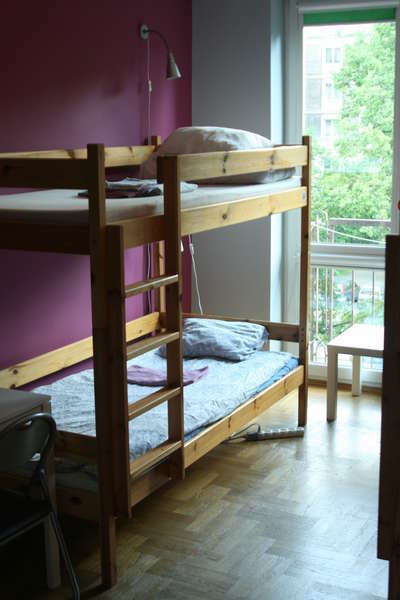 The hostel does not guarantee room availability. 1. The hostel is a smoke-free environment. Smoking and the consumption of drugs, mind altering substances and psychotropic substances is absolutely prohibited. Smoking is prohibited in the whole building (staircase) as well as by the entrance to the building. In case of any confirmed suspicions that a person smokes/smoked on the hostel premises, they will be charged with a 200 zł fine. In case they refuse to pay the mentioned fine, the receptionist or manager have the right to contact the local Police Department, Municipal Services or security. 2. Check-in is at 2 p.m. and checkout at 11 a.m. the next day. The hostel is open 24 hours. 3. Between 10 p.m. and 7 a.m. the guests are obliged to behave calmly and quietly on the entire premises of the hostel and its surroundings. 4. 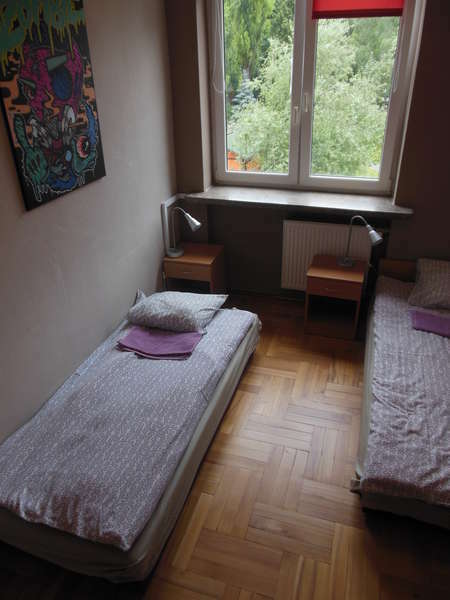 While staying at the hostel guests are obliged to respect the rules of public order and orderly conduct in the entire building and its neighborhood. 5. The Hostel is not responsible for any valuables left in rooms. All valuables may be deposited in a safe at the reception desk or lockers. 6. 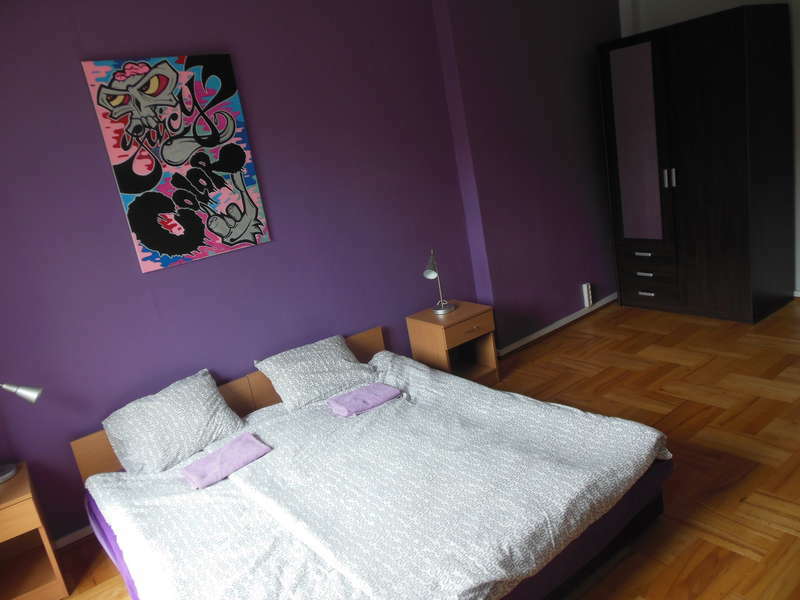 Guests assume full financial responsibility for any damage to hostel property. 7. We do not accommodate stag parties, groups of football supporters and groups of labor unions. 8. Bed is for one person only. Guests are obliged to use linen. Sleeping bags are not allowed. 9. We do not accept pets at the hostel premises.